Download and read official Galaxy Note 5 User Manual in different languages. All Galaxy Note 5 user manuals are in PDF format. This page is a collection of official Samsung Galaxy Note 5 user manual in all languages. Update: if your Galaxy Note 5 was updated to Android Nougat 7.0, please check these updated Galaxy Note 5 user manuals in your own language. You can download all these Galaxy Note 5 user guides to read offline on your phone, tablet or PC. You can also print them if you want. Samsung Galaxy Note 5 User Manual in this page is in PDF format. All you need is a PDF reader. You can get the free official Adobe PDF Reader here. To download Galaxy Note 5 user manual to your PC, you can right click the link, then select save link as. If you want to download the manuals on a smartphone or tablet, you can tgap and hold the link, then select save link as to download. Galaxy Note 5 comes with some new features, so even some long-time Galaxy Note users may get confused on how to use some features. The official Samsung Galaxy Note 5 user manual shows you how to use some features in Galaxy Note 5. It can save your time to visit the service center if you can follow the user guide. Please note, in different regions or countries, or even for different carriers in the same country, Galaxy Note 5 may offer slightly different features. Some carriers may bundle some special apps. So, please try to download and use the Galaxy Note 5 user manual for your region and for your Galaxy Note 5 model. If you need more detailed guides on using Galaxy Note 5, please check our Galaxy Note 5 how-to guides page. If you cannot find the user manual for your Galaxy Note 5 in your language, please let us know in the comment box below. This English version of Galaxy Note 5 User Manual is for Galaxy Note 5 sold in Asia, Latin America, Middle East and Africa. The corresponding model number is SM-N920I, SM-N920C and SM-N920CD, SM-N9208. If you cannot find the Galaxy Note 5 User Manual for your Galaxy Note 5, you can try this user guide. This Thai language (Siamese, ภาษาไทย phasa thai) version of Galaxy Note 5 User Manual is for Galaxy Note 5 sold in Thailand. The corresponding model number is SM-N920I, SM-N920C and SM-N920CD, SM-N9208. If you cannot find the Galaxy Note 5 User Manual for your Galaxy Note 5, you can try the first one in this list. If your Samsung Galaxy Note 5 was not bought in Thailand, the features (especially the pre-installed apps) described in this Thai language (Siamese, ภาษาไทย phasa thai) version of Samsung Galaxy Note 5 user guide may be different from those in your Galaxy Note 5. This Simplified Chinese language (简体中文) version of Galaxy Note 5 User Manual is for Galaxy Note 5 sold in Latin America, Middle East, Africa and Asia except China. The corresponding model number is SM-N920I, SM-N920C and SM-N920CD, SM-N9208. If you cannot find the Galaxy Note 5 User Manual for your Galaxy Note 5, you can try this one.. If your Samsung Galaxy Note 5 was bought in mainland China, the features (especially the pre-installed apps) described in this Simplified Chinese language (简体中文) version of Samsung Galaxy Note 5 user guide may be different from those in your Galaxy Note 5. This AT&T American English version of Samsung Galaxy Note 5 user manual is only for Galaxy Note 5 sold to AT&T customers in USA. The corresponding model number is SM-N920A. If your Samsung Galaxy Note 5 was not bought from AT&T, the features (especially the pre-installed apps) describe in this AT&T Samsung Galaxy Note 5 user guide may be different from those in your Galaxy Note 5. This AT&T Spanish language (español) version of Samsung Galaxy Note 5 user manual is only for Galaxy Note 5 sold to AT&T customers in USA. The corresponding phone model number is SM-N920A. If your Samsung Galaxy Note 5 was not bought from AT&T, the features (especially the pre-installed apps) describe in this AT&T Spanish language (español) Samsung Galaxy Note 5 user guide may be different from those in your Galaxy Note 5. This Verizon Wireless American English version of Samsung Galaxy Note 5 user manual is for Galaxy Note 5 sold to Verizon Wireless customers in USA. The corresponding model number is SM-N920V. This Verizon Wireless Spanish language (español) version of Samsung Galaxy Note 5 user manual is for Galaxy Note 5 sold to Verizon Wireless customers in USA. The corresponding model number is SM-N920V. 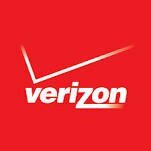 If your Samsung Galaxy Note 5 was not bought from Verizon Wireless, the features (especially the pre-installed apps) describe in this Verizon Wireless Spanish language (español)Samsung Galaxy Note 5 user guide may be different from those in your Galaxy Note 5. This Sprint American English version of Samsung Galaxy Note 5 user manual is for Galaxy Note 5 sold to Sprint customers in USA. The corresponding model number is SM-N920P. If your Samsung Galaxy Note 5 was not bought from Sprint, the features (especially the pre-installed apps) describe in this Sprint Samsung Galaxy Note 5 user guide may be different from those in your Galaxy Note 5. This T-Mobile American English version of Samsung Galaxy Note 5 user manual is for Galaxy Note 5 sold to T-Mobile customers in USA. The corresponding model number is SM-N920T. If your Samsung Galaxy Note 5 was not bought from T-Mobile, the features (especially the pre-installed apps) describe in this T-Mobile Samsung Galaxy Note 5 user guide may be different from those in your Galaxy Note 5. This T-Mobile Spanish language (español) version of Samsung Galaxy Note 5 user manual is for Galaxy Note 5 sold to T-Mobile customers in USA. The corresponding model number is SM-N920T. 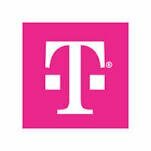 If your Samsung Galaxy Note 5 was not bought from T-Mobile, the features (especially the pre-installed apps) describe in this T-Mobile Spanish language (español) Samsung Galaxy Note 5 user guide may be different from those in your Galaxy Note 5. This Hebrew language (עברית ʿIvrit) version of Galaxy Note 5 User Manual is for Galaxy Note 5 sold in Israel. The corresponding model number is SM-N920I, SM-N920C and SM-N920CD, SM-N9208. If your Samsung Galaxy Note 5 was not bought in Israel, the features (especially the pre-installed apps) described in this Hebrew language (עברית ʿIvrit) version of Samsung Galaxy Note 5 user guide may be different from those in your Galaxy Note 5. This Vietnamese language (Tiếng Việt) version of Galaxy Note 5 User Manual is for Galaxy Note 5 sold in Vietnam. The corresponding model number is SM-N920I, SM-N920C and SM-N920CD, SM-N9208. If your Samsung Galaxy Note 5 was not bought in Vietnam, the features (especially the pre-installed apps) described in this Vietnamese language (Tiếng Việt) version of Samsung Galaxy Note 5 user guide may be different from those in your Galaxy Note 5. This Turkish language (Türkçe) version of Galaxy Note 5 User Manual is for Galaxy Note 5 sold in Turkey. The corresponding model number is SM-N920I, SM-N920C and SM-N920CD, SM-N9208. If your Samsung Galaxy Note 5 was not bought in Turkey, the features (especially the pre-installed apps) described in this Turkish language (Türkçe) version of Samsung Galaxy Note 5 user guide may be different from those in your Galaxy Note 5. This Korean language (한국어) version of Galaxy Note 5 User Manual is for Galaxy Note 5 sold to customers of LG U Plus, South Korea. The corresponding model number is SM-N920L. If your Samsung Galaxy Note 5 was not bought from LG U Plus, South Korea, the features (especially the pre-installed apps) described in this Korean language (한국어) version of Samsung Galaxy Note 5 user guide may be different from those in your Galaxy Note 5. This Korean language (한국어) version of Galaxy Note 5 User Manual is for Galaxy Note 5 sold to customers of SK Telecom, South Korea. The corresponding model number is SM-N920S. If your Samsung Galaxy Note 5 was not bought from SK Telecom, South Korea, the features (especially the pre-installed apps) described in this Korean language (한국어) version of Samsung Galaxy Note 5 user guide may be different from those in your Galaxy Note 5. This Korean language (한국어) version of Galaxy Note 5 User Manual is for Galaxy Note 5 sold to customers of Korea Telecom, South Korea. The corresponding model number is SM-N920K. If your Samsung Galaxy Note 5 was not bought from Korea Telecom, South Korea, the features (especially the pre-installed apps) described in this Korean language (한국어) version of Samsung Galaxy Note 5 user guide may be different from those in your Galaxy Note 5. This Persian language (Farsi, فارسی) version of Galaxy Note 5 User Manual is for Galaxy Note 5 sold in the Middle East. The corresponding model number is SM-N920I, SM-N920C and SM-N920CD, SM-N9208. If your Samsung Galaxy Note 5 was not bought in the Middle East, the features (especially the pre-installed apps) described in this Persian language (Farsi, فارسی) version of Samsung Galaxy Note 5 user guide may be different from those in your Galaxy Note 5. This Arabic language ( العربية/عربي‎‎ al-ʻarabiyyah/ʻarabī ) version of Galaxy Note 5 User Manual is for Galaxy Note 5 sold in the Middle East. The corresponding model number is SM-N920I, SM-N920C and SM-N920CD, SM-N9208. If your Samsung Galaxy Note 5 was not bought in the Middle East, the features (especially the pre-installed apps) described in this Arabic language ( العربية/عربي‎‎ al-ʻarabiyyah/ʻarabī ) version of Samsung Galaxy Note 5 user guide may be different from those in your Galaxy Note 5. This Russian language (русский язык) version of Galaxy Note 5 User Manual is for Galaxy Note 5 sold in the Russian Federation. The corresponding model number is SM-N920I, SM-N920C and SM-N920CD, SM-N9208. If your Samsung Galaxy Note 5 was not bought in the Russian Federation, the features (especially the pre-installed apps) described in this Russian language (русский язык) version of Samsung Galaxy Note 5 user guide may be different from those in your Galaxy Note 5. Do you find the Samsung Galaxy, Note 5 user manual in your own language? If you cannot find the official Samsung Galaxy Note 5 user manualin your language or for your device, please let us know in the comment box below. Samsung did not release Dutch version of the Galaxy Note 5 user manual. Initially, Samsung decided not to bring the phone to European market. I want to print off the manual how do i go about this. You can save/download the PDF file to your phone or PC. Then print it out. What problem did you get? why I did not find the official Samsung Galaxy Note 5 user manualin on russian language for samsung galaxy note 5 ? I have misplaced the Quick Start guide for Galaxy Note 5. Can you e-mail me a copy? Why do you still need it? We can put one in this page. What language do you prefer? You should buy phones from local distributor. Phones sold on other regions may not work in your region. You know, when the Romania version of the manual will be available? Galaxy Note 5 has not been released in your Romania. So I don’t think there is a Romanian version of Galaxy note 5 user guide. Press and hold the home button, it will give you the option to use s voice, Google Now of other apps. Tapping the home button twice is for camera now. You know, when the Russian version of the manual will be available? Do you know any version where german language is available ??? I don’t think galaxy note 5 will be released in Germany. So, probably there will be no German version of the user manual. The screen turns on when the phone rings,but if i tap òr swipe the accept button nothing happens. I should be able to either accept or reject the call. Still,i can answer using the home button. Not sure. You should touch and hold then swipe (drag) the button, not tap. Hi, maybe a silly question, but when my Galaxy note 5 is asleep i cant answer incoming calls? Am i missing a simple solution? When the phone rings, the screen will be on and you can answer the call. This is the basic function of the smartphones. What problem did you get? I agree,that is what should happen. I see both the answer and hang up buttons but they dont function if i get a call when the phone is asleep. Do you mean when the screen is locked ? What happens if you drag the button to the direction indicated? Please note, it’s not to tap the button. You need drag the button. I mean when the screen is asleep,i dont have it locked i simply flick the screen to the right to use it. But, if the phone rings i can neither do anything with the 2 buttons, or use the phone. I did notice if i press the home button first, that allows me to answer the call. Is that normal? If the screen is turned off, it should be turned on when it rings. It is not unnecessary to do anything else, just drag the accept or reject button as indicated. Did you tap the button or drag (swipe) the button? By default, home button is to accept the call. So you don’t need drag the button. But again, I suspect you just tap the button not drag it. Which manual? I believe we tested all links before publishing the page. i badly need a manual in Arabic language. thanks. We will add it in next 24 hours. I will update this comment once it is ready. hi. i am looking for the samsung galaxy note 5 quick start guide in english. its less bulky for carrying about with me. thanks. The quick start guide is in the Galaxy Note 5 box already.